GoPro Hero4 Session is a compact action camera that packs impressive capturing capability in a small package. Described by its maker as its ‘smallest, lightest, and most convenient camera yet,’ the action cam shows off a waterproof design and delivers 1440p videos and 8MP stills, while also offering comfortable one-button control. Shaped like a cube, GoPro Hero4 Session addresses one issues that some people have with GoPro cameras – separate waterproof housing. Waterproofing is built into the snapper without need for a separate housing, thus enhancing its portability significantly. But unlike its siblings like Hero4 Silver, which is waterproof up to a depth of 40 metres the compact action cam is waterproof only to 10 metres. It comes with specially-designed mounts to give you awesome flexibility. By default, GoPro Hero4 Session records 1080p videos at a stunning 60 frames per second, but it can record up to 1920 x 1080 pixels at 30 fps. There are several more options for video recording, including 720p at 100 fps. In addition to enabling you capture stunning, lifelike videos, the camera also take breathtaking 8 megapixels still shots. Burst photos can be taken at 10 frames per second and Time Lapse shots at intervals ranging from 0.5 to 60 seconds. The Hero4 Session offers one-button control to enable you set the ball rolling with a single press of the shutter button for automatic Time Lapse photos or video capturing, while a second press halts recording and powers off the cam. Superview and Auto Low Light contribute to improve capturing quality. GoPro Hero4 Session comes with built-in battery and a dual-mic system, which helps ensure great audio when recording videos. Professional-quality video output is further enhanced by Protune, while HiLight Tag allows you mark special moments in your recordings for easier access. One cool feature on the Hero4 Session is Auto Image Rotation, which enables you use the camera without issues even when it is mounted upside down. 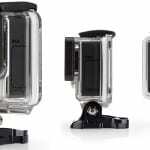 The action cam is compatible with all GoPro mounts and features Bluetooth and Wi-Fi for seamless sharing. 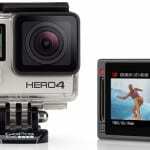 GoPro Hero4 Session is not yet available in Nigeria. 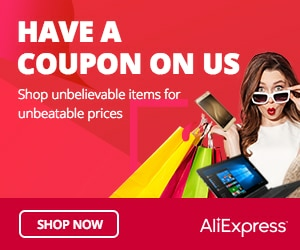 When available, you can buy the action cam at leading online stores in the country. GoPro Hero4 Session Price in Nigeria is ranges from N80,000 to N150,000 depending on your location in Nigeria.